I heard a radio spot the other night by an ad agency describing how they helped a client company increase their sales dramatically, and inviting listeners to consider hiring them for their business. At the end of the spot, the announcer said, “…starting at just $9,000 a week…” and then gave the phone number to call. The answer, of course, is small businesses that are making a lot of money. And there are a lot more than people realize. Plus, if you have a successful ad campaign, as new sales are made, you re-invest the initial week’s $9,000 ad buy over and over again. You can thus do a half-million dollars of annual advertising with a fraction of that much to start. Anyway, next question: why did the ad agency announce the minimum investment an advertiser would have to spend to hire them? Because if they didn’t, they would talk to a lot of people who think they can get started with $1000 or $1500. 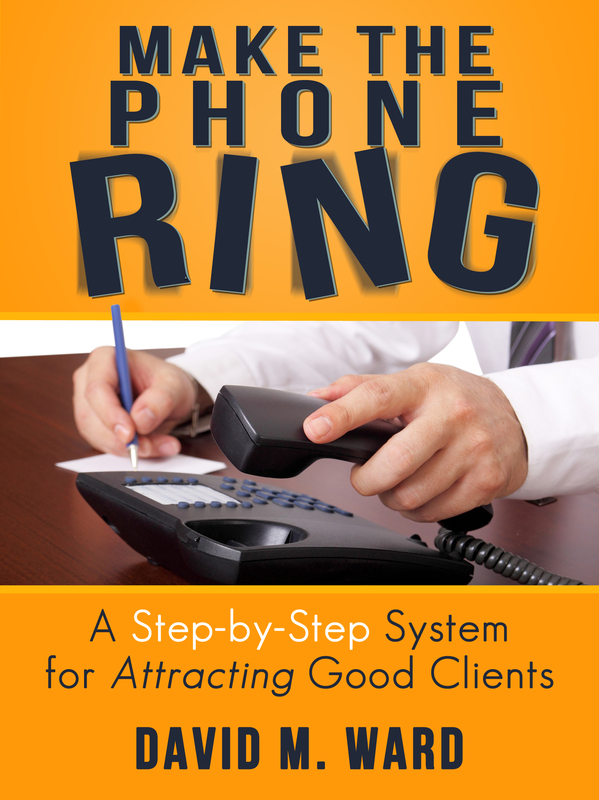 If you get a lot of calls from prospective clients who can’t afford you and don’t hire you, you should consider doing something similar. In your ads, on your website, in your presentations, or when anyone asks, tell people what it takes to hire you. No, not your fees precisely. The minimum retainer or your smallest “package,” so they know whether or not they are in the ballpark. There are times when you may want to keep things a little fuzzy, however. Some clients might get sticker shock when they first hear “how much” but have the money and pay it, once they consider the alternatives. Another way to weed out prospective clients who are too small or otherwise “not right” for you is to spell out who you’re looking for in terms of revenue, number of employees, locations, or other factors that relate to size and ability to pay. You can also do this with consumer-oriented practices. If you do estate planning or asset protection, you could promote your services to people with assets in excess of a certain amount. If you handle family law, you might promote your services to clients with a child custody dispute. You can also target wealthier clients by running ads in publications for investors, direct mail to people who own larger homes, or by networking with accountants, financial planners, and insurance brokers who have the clientele you want to attract. If you want bigger clients, stop promoting your services to “anyone” and start promoting them to bigger clients. What’s your second favorite method for marketing legal services? Let’s face it, referrals are pretty much everyone’s favorite marketing method. What’s not to love? Clients come to you, pre-sold, so you sign up a high percentage. They tend to be better clients than the unwashed masses who find you online. They are less likely to complain or try to mico-manage you. They tend to stick around longer. And they are themselves more likely to refer. We love us some referrals, don’t we? Anyway, other than referrals, what’s number two on your list of favorite marketing methods? Me? No question about it. Advertising. Advertising gives you control. You run an ad and if it works you continue to run it. And run it more frequently. And buy bigger ads. And run ads in more publications or on more sites. If your ads don’t work, you change something–the headline, offer, copy, publication or list–until you find the right combination. You can start with a small budget. If your ads work, you scale up. If they don’t, you pull out. You can use ads to test new markets, new services, and new offers. You can advertise your services directly, or you can advertise your seminar, book, or report, and build a list that produces clients over the long term. Advertising can bring in clients fast. Run an ad this morning and you can have new clients this afternoon. So, start with referrals. Make them the foundation of your practice-building strategy. Then, if you have a mind to, use advertising to scale up your practice, but take your time to do it right. 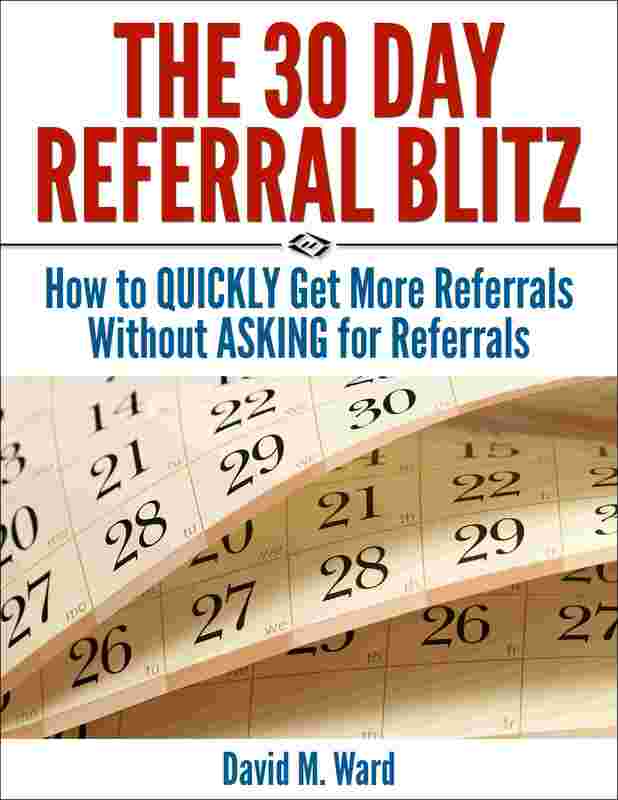 Your referral-based practice will give you the time to do that. If you do it this way, referrals first, you’ll also have more flexibility with your advertising. You can run ads that break-even, for example, because you have a system in place for getting referrals from those new clients. You say you don’t like networking but have you given it a fair chance? Maybe you’ve been doing it wrong. Maybe you haven’t met the right people. Maybe you haven’t done it enough to get good at it. So how can you say it’s “not for you”? I thought network marketing wasn’t for me until I found something I couldn’t refuse and made a fortune with it. I learned that I could do it without compromising my values or being someone I am not. And, whereas I didn’t stick with it in the past, this time, I gave it the time it was due and it made all the difference. There are a lot of ways to market legal services and you should try as many of them as you can. If you’ve tried them once and they “didn’t work” or you “didn’t like them,” try again. You may find that things have changed, or that you have changed. What was once off the table may become a valuable practice building tool for you. Start by learning as much as you can. If advertising has always been distasteful to you, for example, or you haven’t considered it because your bar rules forbid it, keep learning. You may discover a way to do it that “you never thought of”. Here’s an example: instead of advertising your practice, your services, or yourself, advertise your book, report or seminar. Sell it or give it away and let it sell readers on you. Next, find some practitioners who use these methods and study them. What are they doing? How are they doing it? Can you make some changes that better suit your style and market? Finally, if you’re still not crazy about a marketing method, consider other ways you can get the benefits of that method without a lot of personal involvement. Delegate to staff or to VAs or hire an outside company to do it for you. In other words, you don’t have to love something to profit from it. 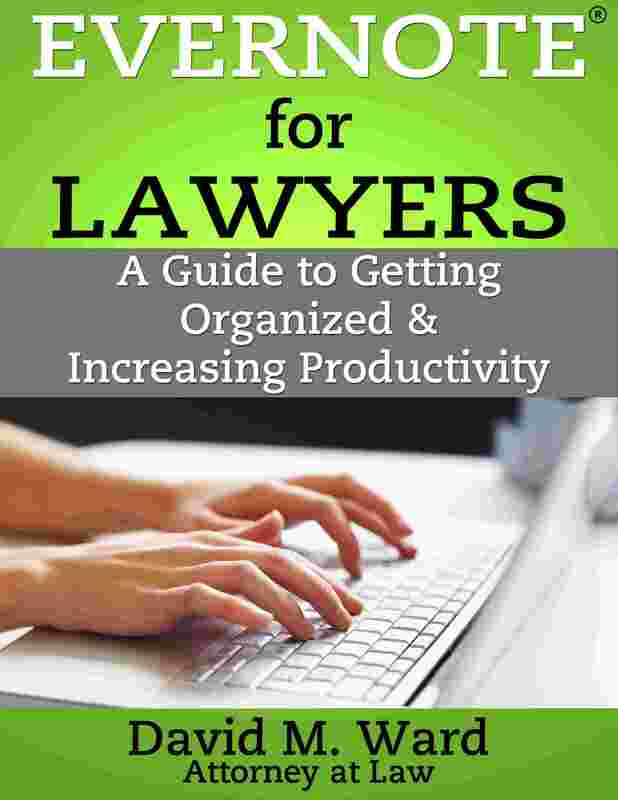 Don’t be like many attorneys: stubborn, closed-minded, stuck in your ways. The world is changing and if you don’t change it with it, you may be left behind. AIDA is an advertising acronym that speaks to the elements of an effective ad or marketing message. The letters stand for “Attention, Interest, Desire, Action”. “Attention” is first because unless and until you have the reader’s or listener’s attention, there’s no point in presenting anything else. One of the most effective ways to get the reader’s attention is to say something that speaks to their self-interest. Something they want or something they fear. If you are a criminal defense attorney, for example, your ad’s headline might use words like, “handcuffs, jail, guilty, or sentencing”. Or about the charge itself, e.g., DUI. It’s the same for email. You want to get the recipient’s attention and get them to open the email because if they don’t open it, you’re not going to get them interested in what you’re selling. The subject line in the referenced email would get many lawyers to open it, wouldn’t it? It speaks to one of our greatest fears. That fear would override our knowledge that Bar complaints, like notices from the IRS, only arrive via regular mail. So plus one for getting attention. The spammer probably wasn’t selling anything but was looking to do harm, but suppose they were selling something like information on how to avoid ethics violations or services in the event of being so charged? Putting aside the fact that the email was unsolicited, we’d have to admit that the headline worked because it got us to open it. The problem is that it was unsolicited email and there are some additional rules. If instead of an email the same headline was used in a print ad, or in a letter sent by regular mail, we’d read it wouldn’t we? If there was a legitimate offer we probably wouldn’t complain to the state Bar. And we might be more likely to buy something because once the advertiser got our attention, however provocatively they did so, we saw that they offered a product or service we wanted to buy. Context is crucial in marketing. It’s okay to be provocative and take risks. More than okay, it’s often a great way to get attention. Just make sure you don’t break the rules to do it. You stink and nobody should hire you! A recent article highlighted an increase in lawyer advertising among personal injury firms in major markets in response to “a slowdown in legal services and increasing competition”. The latest trend among some advertisers are ads where lawyers attack their rivals. The thrust of these ads is to point out the shortcomings of other firms in an attempt to scare prospective clients away from them and into the loving arms of the advertiser. But that’s always been true. Whether it’s a big firm advertising on TV or a solo lawyer with a simple website, lawyers have always had messages that “said the same thing”. But is “going negative” a viable option for differentiating yourself? I don’t know but since most lawyers probably won’t do it, I’d rather talk about something every lawyer can do. 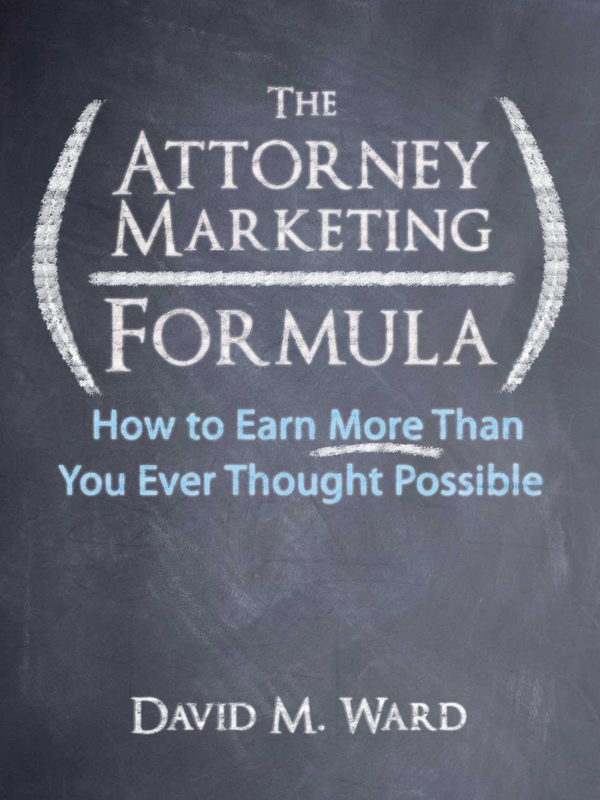 In The Attorney Marketing Formula, I showed you many ways to differentiate yourself from other lawyers. It’s actually not that difficult to stand out from the crowd and show prospective clients why they should choose you instead of any other lawyer. With a little bit of thought, you can show them why you’re different or better, without saying a word about any other lawyer, negative or otherwise. One of the simplest ways to do this is to make yourself a part of the marketing message. You are unique. You have a personality, a background, a story that is uniquely you. When you are the face of your firm, you will get noticed. 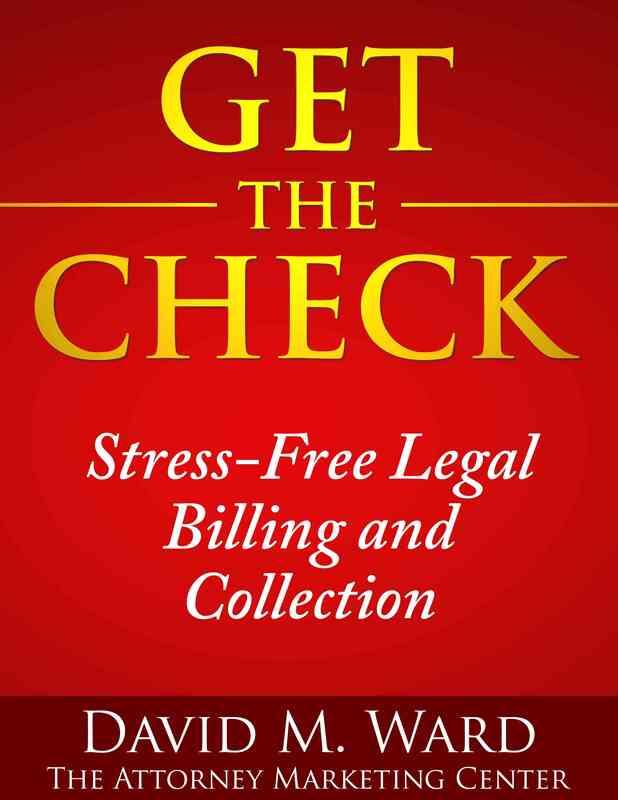 Clients will choose you because they “know” you, even if what you do is essentially the same as other lawyers. Put your face and your voice in your TV and radio ads. Put your photo and your words in your print ads. Talk about yourself on your website, on your “About” page and throughout your content. Write in the first person. Make yourself a part of the story. Let prospective clients see you and get to know you, because it is you that they hire. If you have partners or work for a firm, it’s no different. Market yourself, not your firm. 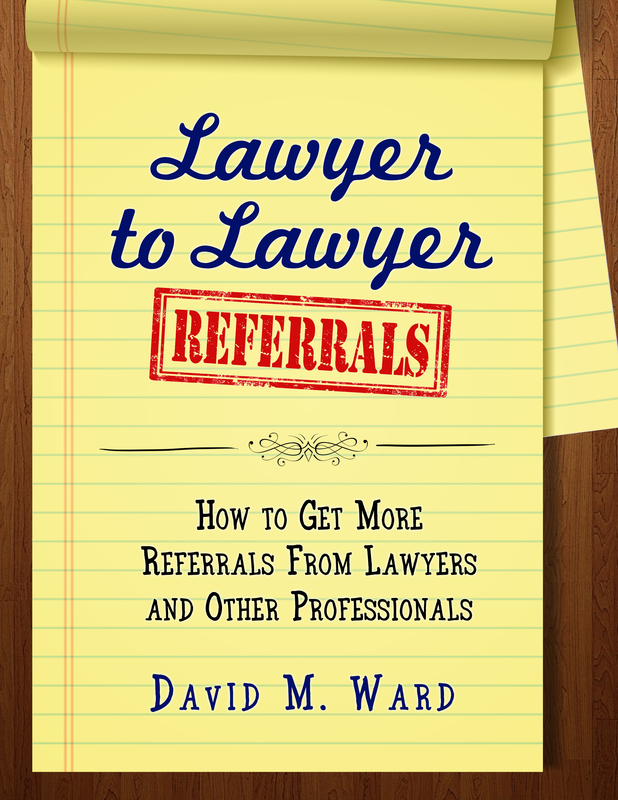 Remember, nobody hands out your business card to a referral and says, “Call my law firm”. They say, “Call my lawyer,” and then talk about you. Don’t ignore the firm. The firm’s capabilities, reputation, and resources all help. But at the end of the day, it’s you the client will speak to and hire. So show them who you are before you show them what you do. Would you spend $30 on a client who agrees to advertise your firm? If so, how about giving your new clients a collared polo or golf shirt, with your firm’s name and website on the breast, as a welcome gift? If you hand out 100 shirts this year, that’s 100 people walking around town advertising your firm. Your clients aren’t a passive billboard, however, they are interactive. People will ask them about the name on their shirt and your clients will say nice things about you. If you get one or two new clients this way, you’ll cover your investment. The rest is pure profit. Of course, that’s just for this year. Most people continue to wear clothing after one year, especially if it still looks good on them. And every year they wear it is more “free” advertising for you. Yes, you could buy $10 t-shirts instead, but some people don’t wear t-shirts and t-shirts are unlikely to hold up as well. But t-shirts can work, too. Make sure you give shirts to your staff. If you have casual Fridays, office parties, or other firm events, everyone should wear them. You too. You can give shirts to former clients, networking friends, and people in your office building you’re friendly with, especially if they work in an office that targets clients and customers who would be suitable for your practice. You could also order a smaller quantity of more expensive “Tommy Bahama” style shirts and use those for special clients or special occasions (e.g., awards, milestones). Have fun with this. Take pictures of people wearing your shirt and put them on your website. Hold drawings or contests and offer a shirt as one of the prizes. Oh yeah, in case you’re wondering. . . I take an XL.